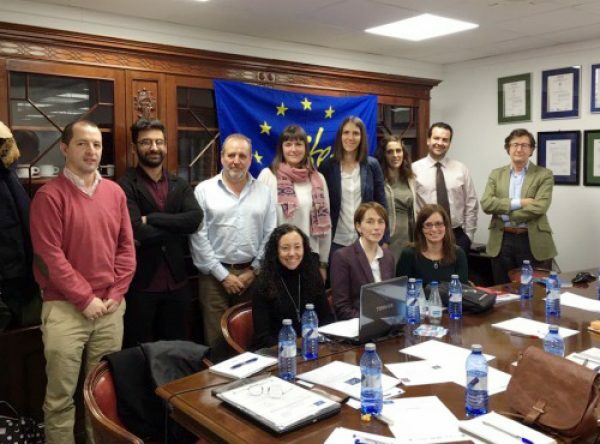 The European LIFE REPOLYUSE project, led by the UBU, held its first progress meeting in Bilbao on 13 March. The project has 3 companies as beneficiary partners: Exergy Ltd. (United Kingdom), TECSA Empresa Constructora, S.A (Spain) and Yesyforma Europa, S.L. (Spain). The purpose of the meeting was to present the technical advances and the financial status of the project, as well as to advise the partners on administrative aspects. In this meeting, the partners of the consortium counted on the visit of the LIFE IDOM-NEEMO team monitor.